Very beautiful blouse and shoes! Nice shirt ! You look so cute ! wunderschöne bluse und deine schuhe find ich auch extrem hübsch! Loving the blouse, such a fun print! O WOW!!! Such beautiful top!!! You have a fab style! Would you like to follow each other? Die Bluse ist richtig schön und steht dir super! Tolles Outfit! Mir gefällt besonders die Bluse! deine haare sind so unglaublich schön! 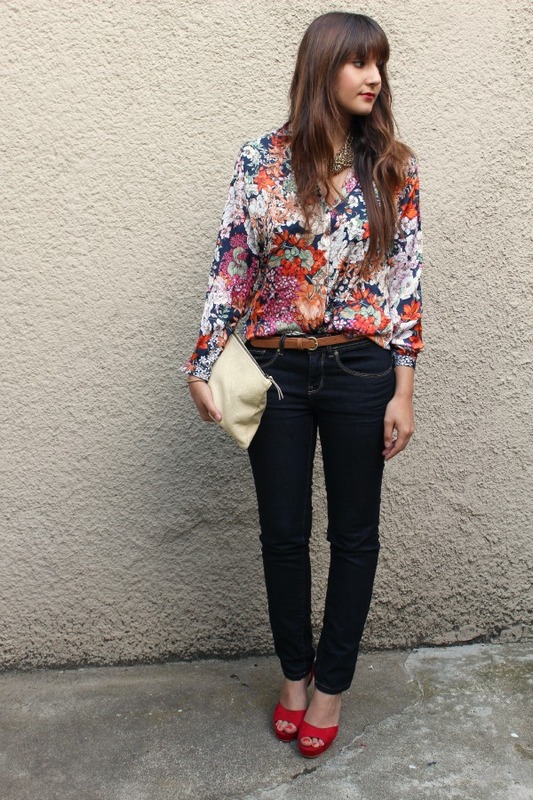 everything in your look works perfectly, from the floral top, to the jeans and down to your pretty scarlet shoes! Great shirt and accessories especially heels and necklace. Du siehst einfach nur toll aus!! !